Tension springs are wound to oppose extension. They are often fully compressed in the no-load position and have hooks, eyes, or other interface geometry at the ends to attach to the components they connect. They are frequently used to provide return force to components that extend in the actuated position. 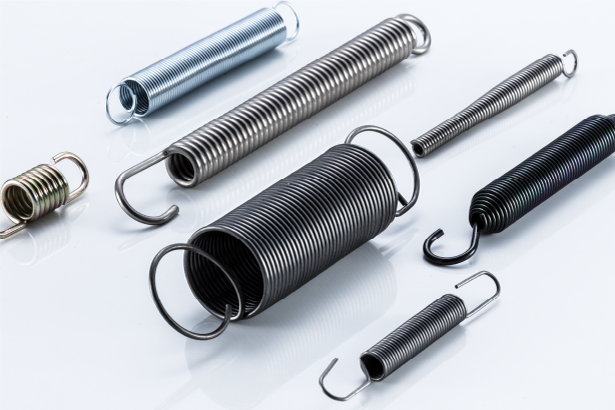 The most important parameters to consider when searching for extension springs are the dimensions. These include outer diameter, wire diameter, and free length. The free length is the overall length of a spring in the unloaded position. Other important considerations include design units. Design units can be specified in English or metric units. Some manufacturers may specify both. 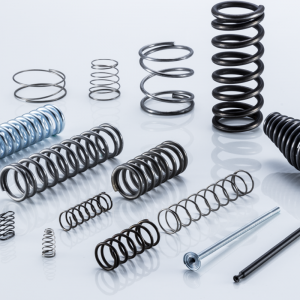 Important spring parameters to consider when searching for extension springs include the maximum load, the spring rate, and the extended length. The maximum load is the load at full extension. The spring rate is the force per unit spring deflection. The extended length is the length at full rated extension. 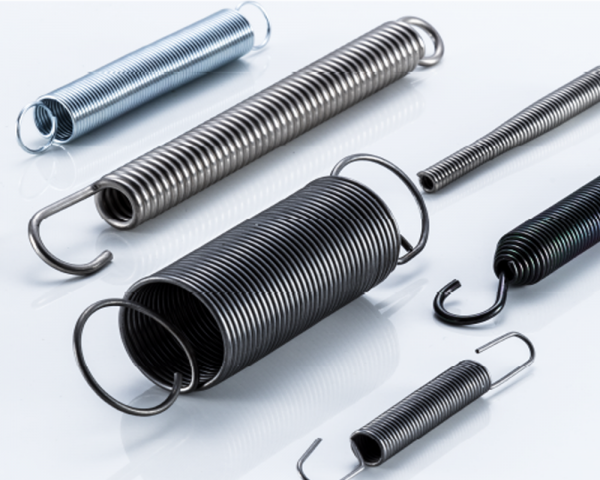 Common materials of construction for extension springs include stainless steel, high carbon steel wire, alloy steel or music wire, nickel base alloy wire, brass, and hard drawn. Spring steel is a standard industrial grade of steel specifically used for spring making. It exhibits good elastic and return properties. Music wire is a common and relatively inexpensive high-carbon steel alloy used for spring manufacture. It is cold drawn and offers uniform tensile strength. Stainless steel exhibits good corrosion resistance for specialty applications. Exotic metals and their alloys with special properties and applications; include such materials as beryllium copper, beryllium nickel, niobium, tantalum, and titanium. 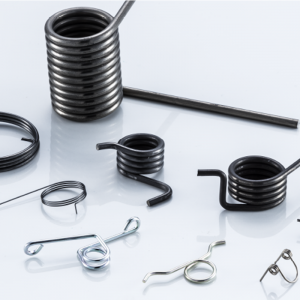 Plastic is a broad category including all thermoplastic materials used by custom spring winding service providers. 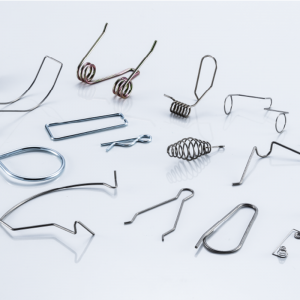 Plastic springs may be used in light-to-medium duty applications for quiet and corrosion-resistant qualities.